You can always spot an Audi RS model with their bulging Rugby player like shoulders, signature oval exhausts, lower stance, huge tyres and of course the big RS badge on the rear. 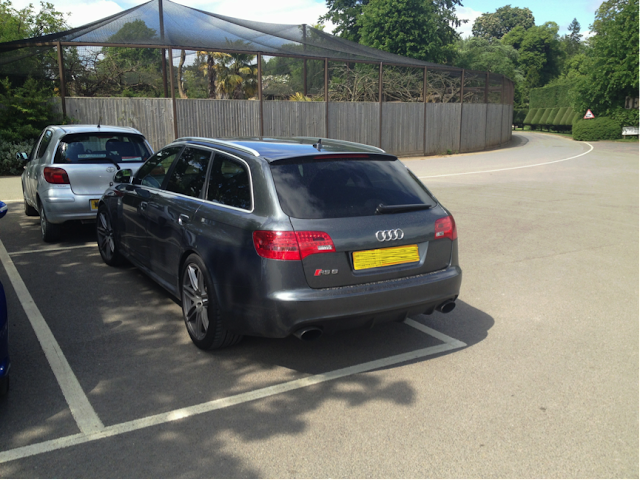 This RS6 is no different, I immediately knew what it was without seeing the RS6 badge. The first thing that stood out was the sheer size of the thing with a wheelbase of 2846mm, an overall length of 4928mm and a width of 1889mm. Now to put that into perspective, a Range Rover Sport has a wheelbase 100mm shorter. This means the RS6 is actually longer than a Range Rover Sport and when you add in a weight of 2025kg you wouldn’t think that it’s capable of launching to 60mph in 4.6 seconds with a limited top speed of 155mph (200mph without a limiter), that’s when you look under the bonnet and find a ‘toned down’ Lamborghini derived, twin turbo charged 5.0L V10 engine producing a monumental 571bhp and 479lb-ft of torque which when you think about it, makes those performance figures seem a lot more realistic. Bearing all of the above in mind, looking at the car objectively you still can’t help but think, “no way can it do that!” which I guess is the whole point of this car. It has two personalities; one is a sensible Audi estate designed to comfortably cruise along motorways with lots of space and great build quality. The other personality is a raging lunatic with massive amounts of power, aggressive looks, a great soundtrack and incredible performance figures. There is still that essence of subtlety to the untrained eye, for example I asked my friend what he thought it was and he simply replied “an Audi?” which I guess some potential owners would like. When new the RS6 would set you back around £77,000. Looking on the used car market today you can pick up a reasonable example for £33,000, with higher mileage cars coming in at around £25,000. This all sounds very appealing doesn’t it? Take into account the average running costs of £350 for a minor service, £1000 for four ‘Audi approved’ Continental tyres, about £800 for front discs and pads, the fuel consumption coming in at around 10 – 15mpg on a spirited run and 25 on a motorway cruise the Audi RS6 V10 is by no means a bargain to run and maintain. 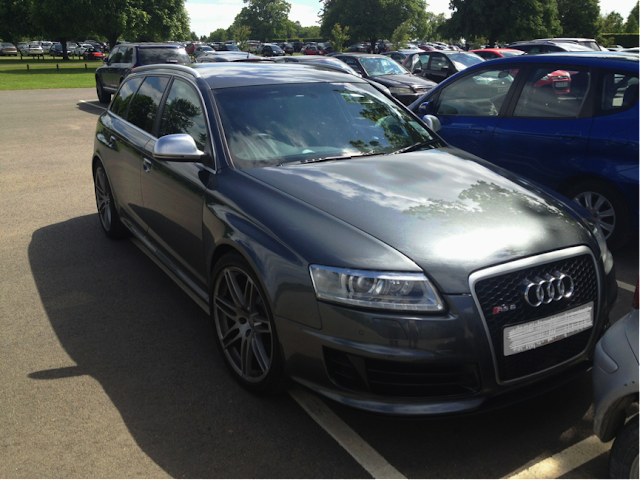 ok no further than the V10 Audi RS6.